I was lucky enough to visit Cornwall this year, I was luckier still to be given a massage by Innate Life Massage who introduced me to Trevarno (www.trevarnoskincare.co.uk). 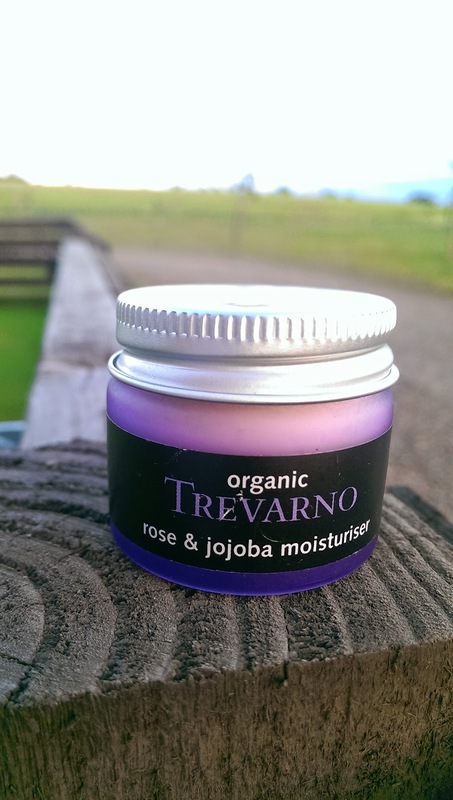 I went to visit Sarah of Trevarno skincare at her estate and got a feeling for the brand fairly quickly. They are based on a working farm, but as soon as you walk into their unit it was like stepping into an area of calm. The beautifully natural white room was decorated with the vibrant colours of the Trevarno products. The surrounding smell was beautiful, uplifting, centering and made you want to immerse yourself more. So what do Trevarno do? They use quality, natural and certified organic ingredients from their farm to make a range of skincare (face and body), soaps and shaving products, all of which are beautifully hand produced in small batches and delivered in pretty ecological packaging. This healthy skincare range contains no chemicals or artificial ingredients. They were established in 1998 with the ethos that simple skincare works. I could have happily bought up most of their products, but came away with Sweet Orange & Vanilla Bath & Body Oil, Rose & Jojoba Moisturiser and the Organic Revitalising Facial Oil. Mr Fifi Friendly purchased some Shaving soap and the Aftershave Oil which I will review separately. I started with the Organic Revitalising Facial Oil (£14), as this was the first product of theirs that I tried with Innate Life Massage. I knew I enjoyed how my skin felt with this straightaway. The 30ml bottle has a drop dispenser so I was able to control how much I used. I liked that it is suitable to all skin types as I find my skin very changeable at the moment. 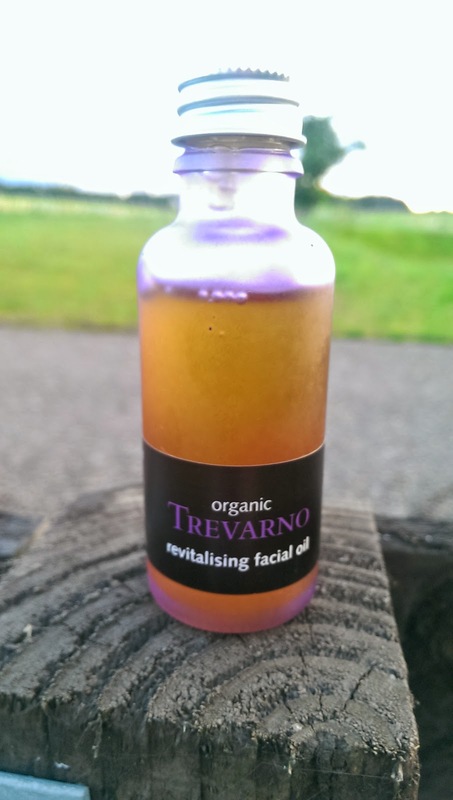 The Organic Revitalising Facial Oil was quite light in texture and smoothed into the skin nicely. The blend of jojoba oil, rose & vanilla and wheatgerm oil ticked most of the boxes that I could want. It smelt great, was balancing, calming, rejuvenating and vitamin E rich. The smell did not disappear quickly, which I was pleased about as I really liked it. Lovely product. It works great on my skin if it is having a dry day or even when it is more combination and slightly oily. Versatile and effective, this is a little multi-tasker. That evening I tried the Rose & Jojoba Moisturiser (£14.50) as I felt I wanted to give my skin extra boost after a day near the sea. This cream moisturiser really does feel like a treat. It was creamy enough to feel luxurious, but not too creamy where it did not blend in. Sometimes with cream moisturisers I find I need to reapply but I only needed a small amount of this product. 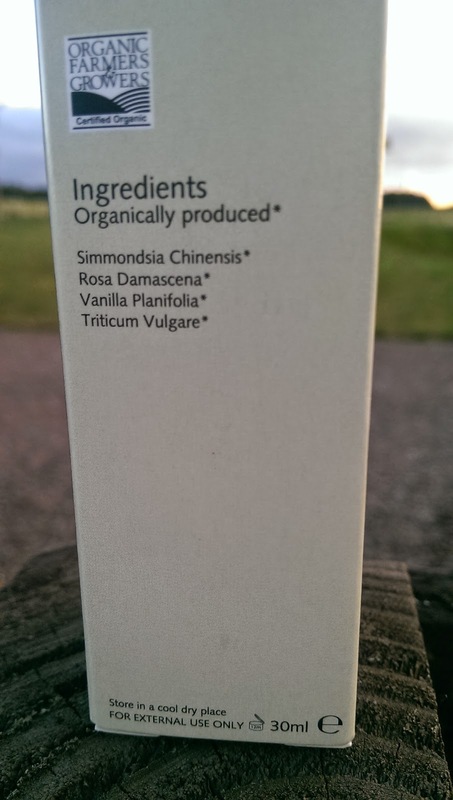 It left my skin feeling a lovely texture, firmness and definitely more nourished. I would be happy to use this during the day as well. Last but certainly not least, I took my Sweet Orange & Vanilla Bath & Body Oil (£13.50) on a trip to London. Wow I love this stuff. The sweet orange smell is invigorating and the mixture itself of sweet orange, vanilla and olive oil was amazing on my skin. My skin looked amazing throughout the day and even though the weather was really hot and my skin did not look dried out at any point. This intensive moisturising oil soaked in to my skin so well that my clothes did not pick up any oily residue. Love, Love, Love…… I will be buying this stuff by the bucket!! 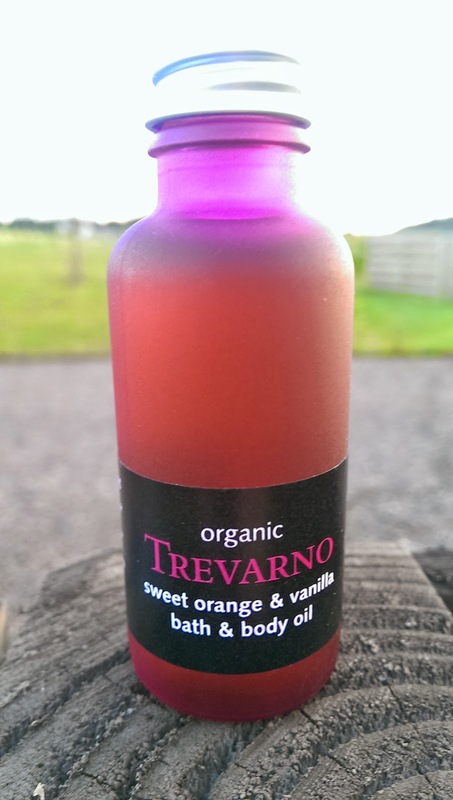 5*Fifi Friendly to the Sweet Orange & Vanilla Body Oil. I have not tried it as a bath oil, but I will very soon. 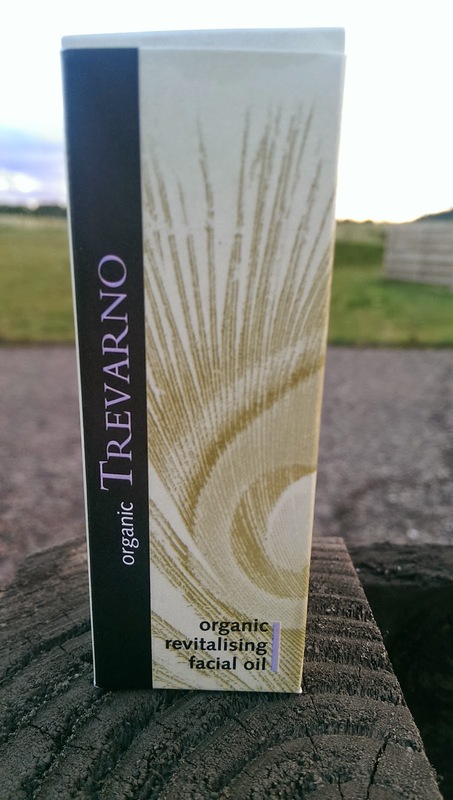 Overall I have been really happy with my dip into the world of Trevarno Skincare. Not only do these organic products look nice, but they naturally work hard and my skin loved them. These products don’t contain artificial preservatives so have a shorter shelf life, I am not really sure that will be an issue as I can not see them not being used. Post de-fuzz calm with Botanicals………..
Next Post Salty Fresh Breath….